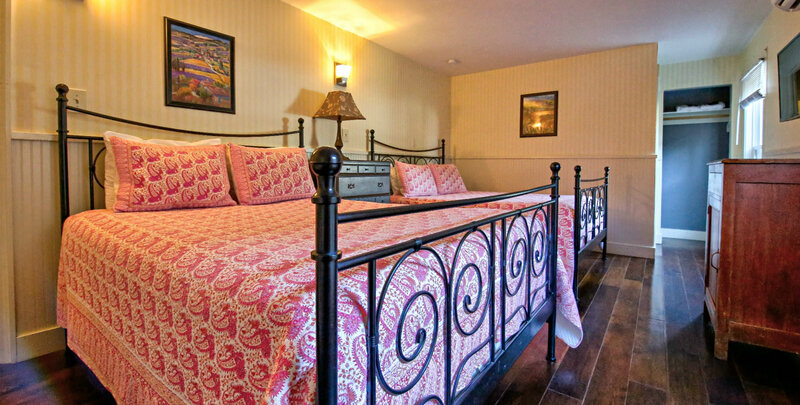 The Grand Suites at Hotel Charlotte in Groveland, CA are perfect for 3-5 family members or friends traveling together who need a bit more space. The rooms comfortably sleep 4, but can add a rollaway to accommodate 5 people. 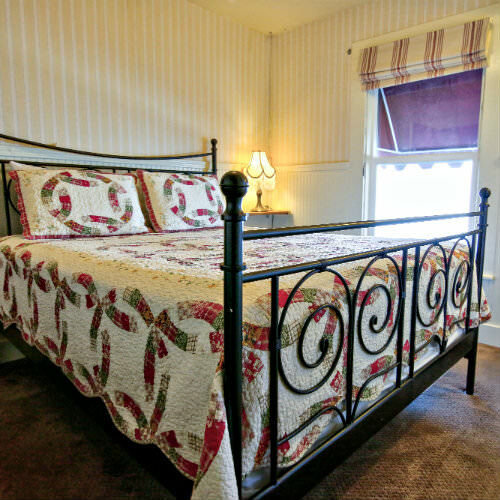 Rates are based on 4-person occupancy; any additional guests over 2 years old will be charged $20/person per night. 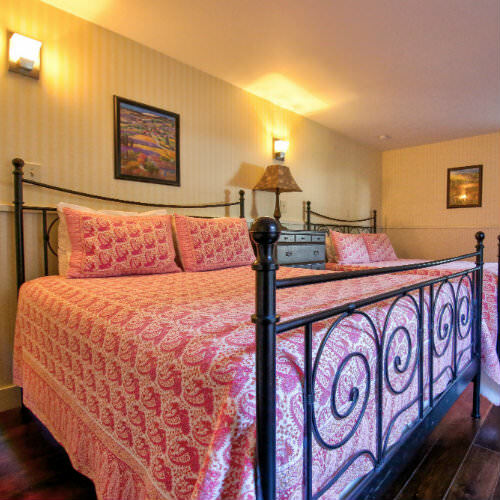 Rooms 1 & 3 are the perfect choice for a family or two couples traveling together. 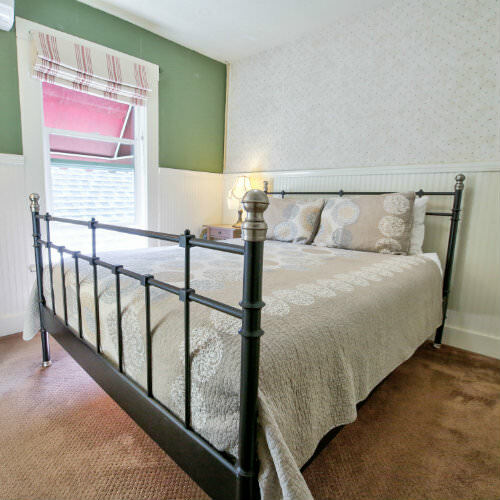 The front room includes two Twin-sized beds, a small closet, and a bathroom that connects to the second room where you’ll find a Queen-sized bed and another small closet. With a rollaway bed, this accommodation can sleep up to five guests. Rooms 2 & 4 are adjoining rooms designed for families or two couples traveling together. For spacious accommodations you can’t go wrong with these rooms at Hotel Charlotte. One room includes two Twin-sized beds, a small closet, and a bathroom that connects to the second room. In the other bedroom, you’ll find a Queen-sized bed and a second small closet. These rooms can sleep five with the addition of a rollaway bed. Room 8 is the largest room at the Charlotte Hotel, with two Queen-sized beds and, if you add a rollaway bed, it can accommodate up to five people. This spacious accommodation includes a private bathroom with clawfoot tub. Located on the first floor, next to the hotel lobby and dining room, it is not a good choice for light sleepers or late risers. This stately room is pet-friendly.